Remember your favorite old video games? Full Tilt now offers ‘free lives’ for achieving multiple ‘high scores’ in the daily 1UP Multi-Entry Tournament.. Compete today for your chance to win bonus Tournament Tickets and up to $5K in cash or Tournament Dollars (T$). The 1UP Multi-Entry Tournament has a buy-in of $5+$0.50 and has a guaranteed $4,000 prizepool. The tournament runs daily at 13:20 ET. 1. 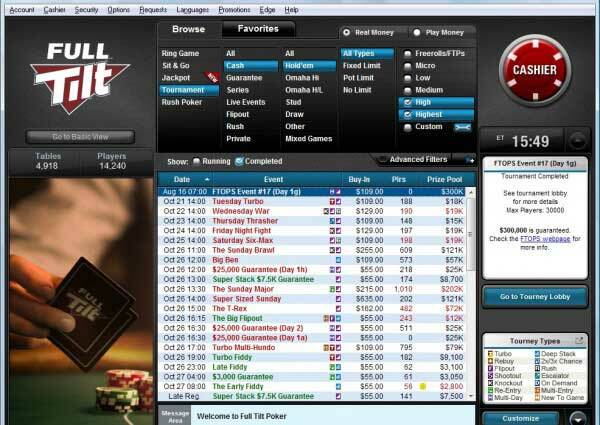 Make sure you are viewing the Full Tilt Poker game lobby in Standard View. If you aren’t sure, click the Options menu at the top of the game lobby and select Lobby View > Standard View. 2. Set the filters to Tournament > All. 3. Find tournaments listed as 1UP Multi-Entry Tournament. 4. Click Register Now and get ready to play. 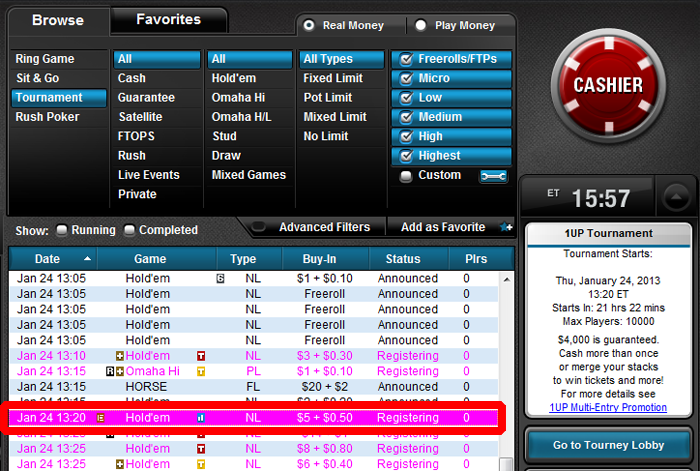 You can select the number of entries you would like to register in the buy-in screen. You can register up to 4 times total. 5. Gameplay is the same as a standard tournament, only this time you have multiple lives to depend on. Make them count! There is more than one way to win! If two or more of your entries survive the bubble and earn prizes, you are guaranteed to receive a bonus prize of Tournament Tickets alongside whatever cash prize you win. The tickets are valued at $5.50 each and can be used to register for future 1UP tournaments. All cash or T$ prizes will be credited to eligible players’ account within 72 hours. You can check on the status of any of your entries by clicking on the Tourney Info button while sitting at a table. You can also open the tournament lobby and click Show My Entrants box above the player list. Entry Merging occurs when two or your own tournament entries join the same table, or if you have more entries than there are tables left in the tournament. 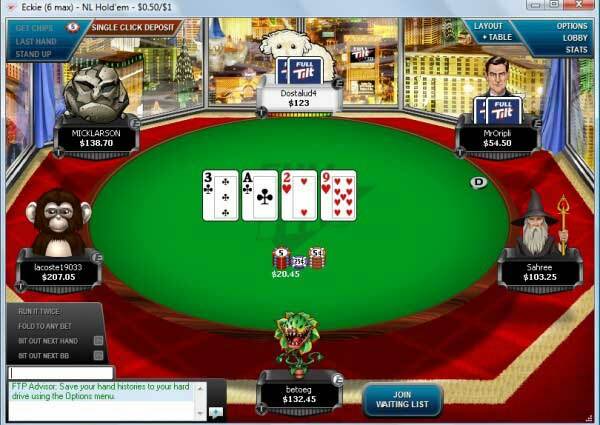 When an entry is moved from a broken table it will merge with the entry of yours that has the smallest stack, combining the chip totals of both entries into one larger stack. When this occurs your avatar will flash MERGE to let you know that this is taking place. A pop-up will also notify all other players sitting at the table of the merger.